Talented young actor Sharwanand always preferred films that had realistic dramas. He scored his first commercial hit with Run Raja Run and he continued it with Malli Malli Idi Rani Roju. He is now back with one more electrifying entertainer titled ExpressRaja. Merlapaka Gandhi who made an impressive debut with Venkatadri Express directed the movie and Sharwanand, Surabhi played the lead roles. Talented actor Sharwanand aimed his latest film to hit the screens during Sankranthi with many biggies in race. Sharwanand and the team of the flick have been quite confident on the film and they are in plans to release the film in record number of screens. Merlapaka Gandhi directed the film and Surabhi played the female lead in it. Praveen Lakkaraju composed the music and the audio of the film is already a huge hit all over. The theatrical trailer of the film has been trending all over for the innovative content. 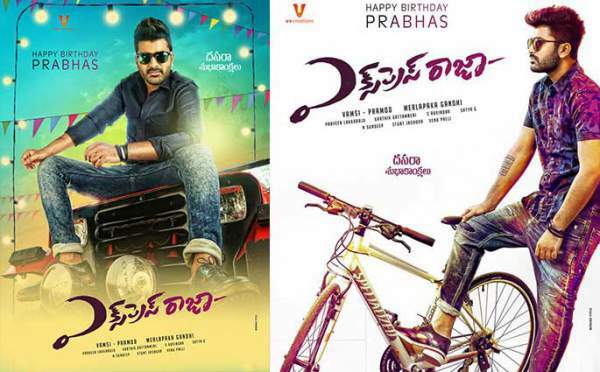 Top production house UV Creations produced the film and the movie has been slated for release in across 500 screens across the world. The movie has completed all the censor formalities and the movie has been awarded clean U certificate from the members of the censor board. Sharwanand and Surabhi played the lead roles in this romantic entertainer which has been laced with loads of entertainment. The flick has been praised by the members of the censor board and Sharwanand who scored back to back hits with Run Raja Run and Malli Malli Idi Rani Roju is in plans to repeat the success with Express Raja. Stay tuned for complete review updates. Don’t forget to share your reviews if you have watch the movie already.